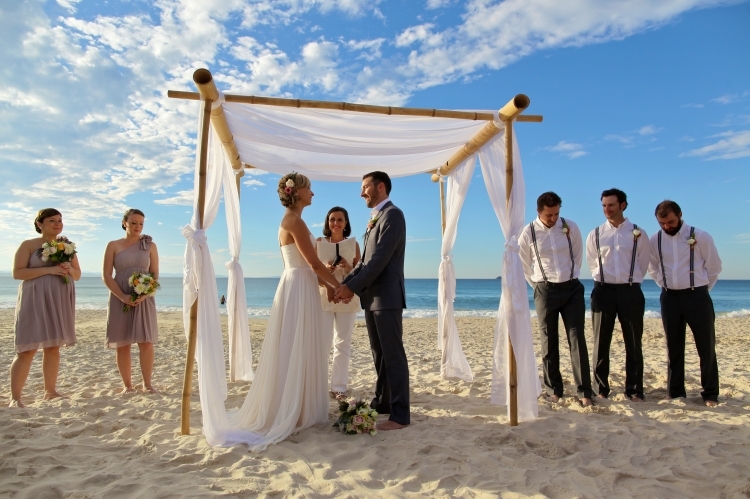 Pristine beaches and stunning hinterland views make Byron Bay an attractive destination to host your wedding ceremony. If you’ve always dreamt of an intimate sunset wedding on a gorgeous white sand shore, Byron Bay is enchanting enough to bring those dreams to reality! Byron Bay is situated at the most easterly point of Australia. Surrounded by astounding scenery, it has some incredible venues that make a picture perfect backdrop for your wedding ceremony. Whether you’re planning a lavish wedding ceremony or an intimate reception, Byron Bay has amazing options to suit various budgets. There are so many venues in Byron Bay with spectacular settings to choose from. Byron Bay has professional wedding planners, photographers, caterers and florists to plan your special day without you having to stress over minute details. Wedding planners and contractors are open to discuss your ideas for tailored receptions, special arrangements and indulgent ceremonies. Our wedding guide will help you with a list of highly acclaimed wedding suppliers to assist in the orchestration of the event and hosting you impeccably to make your day magical and memorable.